It is among the highly profitable sectors, employing thousands, especially the youth, but it is also one of the most chaotic. Public transport sector has for long been a hard nut to crack for both governments and private sector players in most African countries. Payment fraud, corruption, congestion of cars across major cities and gross mismanagement of public transport vehicles have become norm. In Uganda, the growing number of taxis or boda bodas on Kampala’s narrow roads has forced government back to the drawing board at least twice. Kampala Capital City Authority (KCCA) in the 1980s tried to introduce the Rapid Bus Transit system in a bid to sanitize the sector. But the initiatives were faced by lack of professionalism, absence of adequate feasibility studies, gross mismanagement and massive financial losses. KCCA took another shot in 2012, unfortunately the process faced the same fate. In Kenya, the government made attempts at introducing a cashless payment system in May 2014, in an effort to tackle corruption and increase revenues for both government and matatu owners. The system required local transport stakeholders sign up with service providers to launch the electronic cash payment cards. Unfortunately, the initiative dimmed. A raft of challenges also plagued the matatu industry in Kigali more than five years ago. Passengers had to wait on long queues to pay their fares. The fares were unregulated thus open to exorbitant charges. And public service vehicle owners complained of low returns from their investments. Patrick Buchana, then pursuing Bachelors in Electronics and Telecommunication Engineering at Kigali Institute of Science and Technology (KIST), got weary of the experiences. It was out of his desire to help travelers find an amicable solution that he swerved to the innovation path. His best shot would be to develop a system that would help travelers control and manage their fares, avoid the cumbersome queuing process and for the vehicle owners to remotely track vehicle operations. After many months of trial and error, Buchana’s dream came true in December 2015. The innovator developed a smart payment card dubbed Tap & Go, which would enable passengers top up through agents stationed at all bus terminals. The cards would then be tapped onto a gadget at the entrance of the bus to electronically pay before boarding. However, the main challenge was how to get transport stakeholders to use the new system. Buchana, through his company AC Group, approached the Ministry of Transport to help speed up the roll out. Coincidentally, the idea hit a Ministry that already had plans to launch a $2.5billion ten-year Bus Transit Project the following year (2016). The Ministry was impressed by his idea. And it drew major transport stakeholders, including bus companies and associations into the system, marketing the product across major suburbs of Kigali. “As a disruptor, most times it can be challenging coming into a new market and changing the way business is done. Although we had challenges at the beginning, we are glad that our government was very supportive, which pushed us more in realizing this project,” says the 27-year-old techie. By September 2017, AC Group had printed 1.1million cards for passengers plying various parts of Kigali. The new electronic payment machines had by the time been installed at the Remera-Ndera route in the outskirts of Kigali, which covers commuters plying across three districts. And there were plans to roll out others at the Kabuga- Kimironko route. According to Buchana, the new system has brought significant impact to bus operators, commuters and the economy of Kigali city three years since its launch. “So far, bus operators have recorded an increase of over 45 percent in revenues which also cut down the number of fraudulent activities within bus companies. The operators have been able to buy new buses due to the increase in revenues and use the technology for better fleet management,” he says. The electronic payment system, he adds, has attracted more people into public service buses, reducing the number of private cars on roads and largely cutting down carbon emissions. Additionally, Tap & Go has replaced paper tickets, greatly contributing to the city’s vision of ‘Keep Kigali Clean’, Buchana says. As Kigali looks to implement the smart city master plan, the CEO says one of the main challenges that the administration would grapple with is public transport. It’s for this reason that Tap & Go card has over the last three years gathered data that the proprietors share with key transport stakeholders continuously to enable them make data driven decisions for transport planning. AC Group has so far enlisted Kigali Bus Services, Royal Express, Rwanda Development Board, Smart Africa, World Economic Forum and the Ministry of Foreign Affairs and Cooperation- Rwanda as its clients. It currently also serves some 1.4million customers in Kigali city. It’s from such reliable clients, coupled with demand to promote cashless payment in the transport sector that the business expanded its operations to Yaoundé, Cameroon in February 2017, introducing Tap & Go Cameroon. The system has already attracted 60,000 users in Yaoundé. 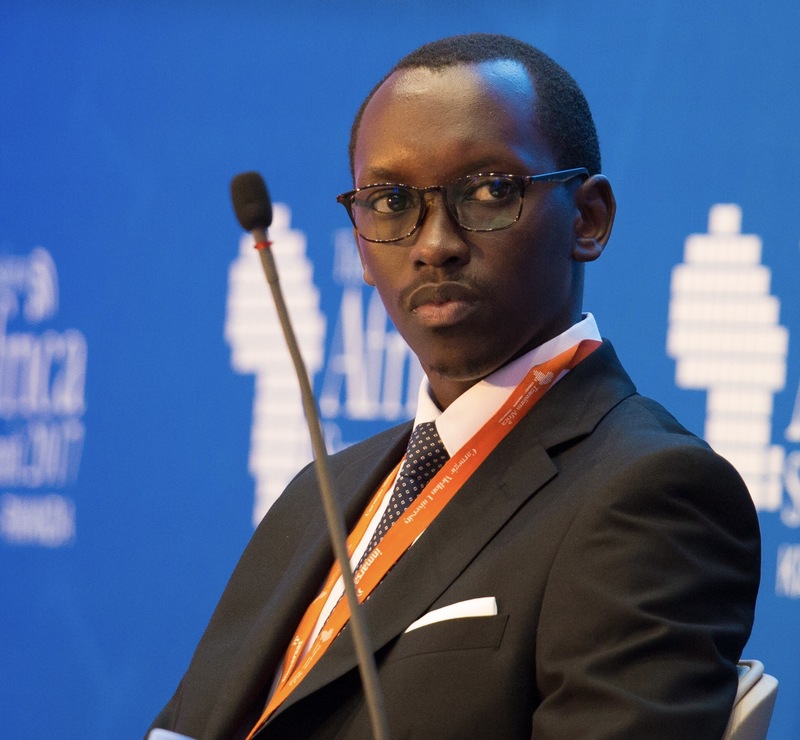 “With more clients using the product, we’ve had to integrate our system, introduce new ways of payment and restructured our business operations and customer service to help meet the demand,” says the former Microsoft’s students’ ambassador for Rwanda. His firm is now also a major player in conference tourism in Kigali, where it has launched Telematics, a smart payment card that caters to the transport needs of conference and travel tourists across the capital. With the success gained in the two Eastern African cities, AC Group now plans to extend its smart transport solutions to other African countries, with the hope that the experience gained could help improve public transport and address issues of congestion and poor planning in most urban areas. At the moment, the company is at the final phase of implementation in one major city, Buchana says, reluctant to offer more details regarding the city. These opportunities, Buchana explains, are made possible through partnership with some of the universities such as the University of Rwanda, African Leadership University, Carnegie Mellon University and AIMS, in providing students with professional internships. The interns help the company in areas of Data Science and business research, Buchana concludes.